Swift Royale 540 Compact 5 Berth Low Mileage Fiat 1.9 Turbo diesel Motorhome For Sale New Cam Belt and full service. 1992 with Only 76,500 miles from New. 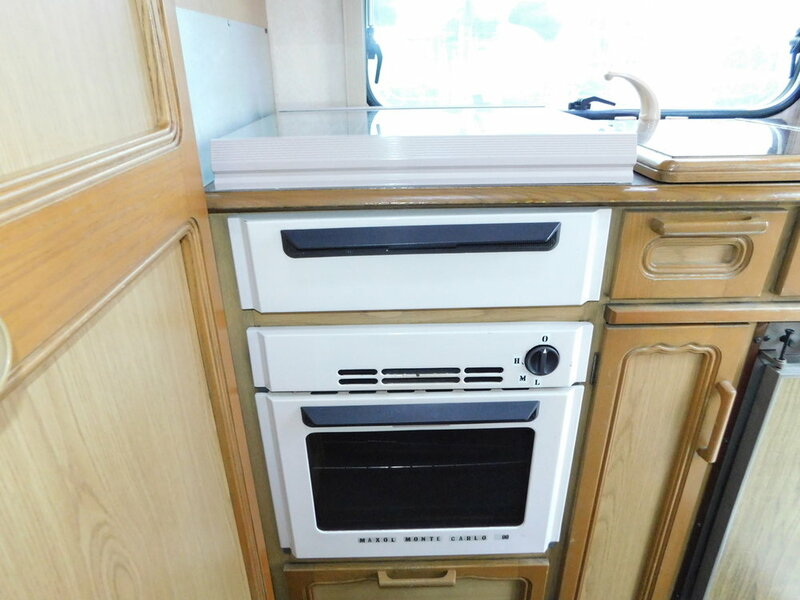 This Lovely Compact Motorhome is Only 5.5 m Long, so will Park in Most Spaces and on most Driveways. It is also plated at only 3400 Kgs which means that drivers of all ages can drive it as you Don’t need to have the C1 entitlement on you licence. Located In Hayling Island. We have the End Kitchen which includes a Full size Gas Oven, Grill and Hob, 3 way Fridge with a small Freezer box as well as a Sink with a drainer. The Wash Room has a Toilet with a Thetford cassette, Shower and Fold away Washbasin. The seating area is very Spacious and includes a Good size Sofa that becomes a large single bed. The Double Dinette area drops into a small double bed, and we have an additional Double Bed over the cab. This is Generally in a Very clean condition for its age, though there are obviously some age related marks both outside and inside. The lighting is lovely and it has a very cosy feeling with the very clean and neutral velour fabric. We have central heating and hot water and Double Glazing with Flyscreens and night screens built in. The habitation entrance door is lovely as it separates to become a barn door. Full Fiamma Safari Room. On the Outside we have a Bike Rack, rear ladder and a full size wind out Canopy, as well as a tow bar, and a roof rack.